BB&T Ballpark | Whats Happening? 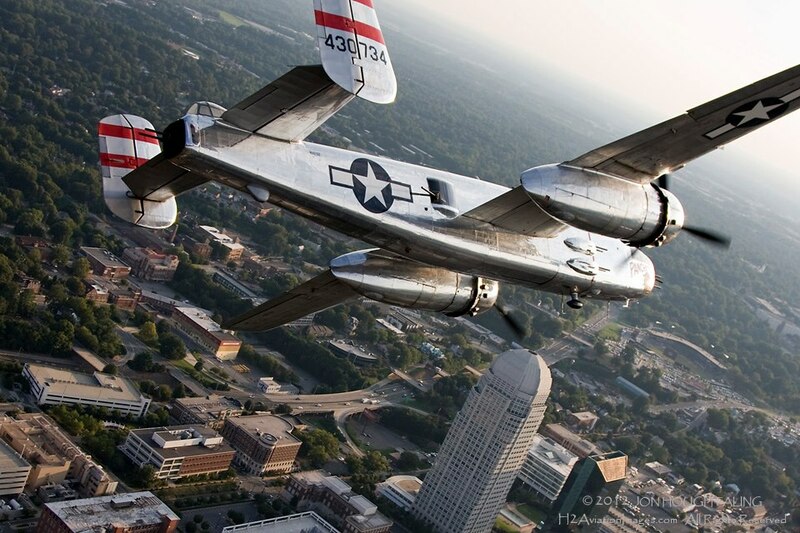 B-25 Panchito inbound to BB&T Ballpark for a flyover of the Winston-Salem Dash baseball game. 3:00: The Astanza Project – music with a gypsy, flamenco, jazz, Latin & Brazilian flair! Join 2GNC at the Winston Salem Dash game Thursday, May 16th for P1 Pack the Park Night! We will be hanging out at the main gate beginning at 6pm.Make sure to print out the P1 ticket special coupon to receive a free WS Dash hat with any ticket purchase for May 16th! PLUS, for the first time ever, CDC feat. Biggie will perform the National Anthem! If the attendance record is broken, Biggie will have to sit in every seat in the stadium! Get game info and schedules here. See you at the ballgame!